Steve & Kristin Austin are back in not-so-sunny So Cal and doing the first podcast from 317 Gimmick Street (that's no typo)! 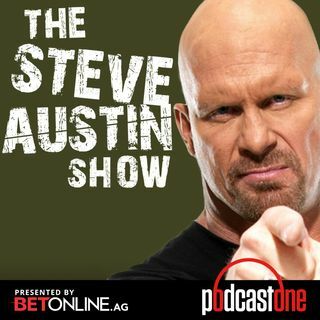 They share travel stories, and then Steve tackles your questions about squared circle communication & talking trash, blading & kicking out of pins, Stone Cold's last match, shooting arrows at Vince McMahon, the Bionic Redneck Gimmick, Beatles vs Stones, Led Zeppelin vs Rush, and the return of the Ford Bronco. He's also ranting on some first ... See More world problems plaguing the city of angels.